Let’s take some time to talk about a summer time favorite: core training! Everyone wants that “six pack” look – or at least a defined mid-section – right in time for the lake, pool or beach. Unfortunately, and relatively naturally, most people immediately go to sit ups and crunches. After all, every gym-goer in every gym ever does them as part of their “abs and arms” workout day. I mean, come on… Rocky did them and he was super ripped! So, obviously, crunches=six pack abs…right? People usually think crunches or sit ups are the best way to work your core. They couldn’t be more wrong. The core is actually made up of a lot of muscles working together to preserve your spine and save it from injury. That’s right; not just your abdominals but also muscles such as your Multifidi and Erector Spinae make up this mystical core. Doing exercises that cause spinal flexion or extension, such as sit ups and crunches, can actually put excessive pressure and punishment on the facet joints and discs in the spine and, in fact, do very little to actually strengthen the muscles. and excessive flexion both laterally and forward. So, if that is what the muscles are trying to resist, then it only makes sense to work them in a way that forces them to do just that. Those of you at Artemis have heard us say “anti-extension” and “anti-rotation” a hundred (or thousand) times before when we’re doing core work. Those patterns have been proven time and time again to be most effective in working and strengthening the core musculature. AND, THEY ARE ALSO THE SAFEST! Doing these types of exercises will strengthen your trunk and stave off future back injuries to allow you to enjoy all the activities you want for years to come. At Artemis, we’re always working on your core! Just about every exercise we do is working to strengthen your core as a whole. The more muscle groups involved in an exercise = more calories burned = burning fat = more definition in the core. So, what did we learn? That sit ups and crunches actually put you at risk for back injury and the safest and most effecting way to train your core is through anti-rotational and anti-extension movements. Remember: everyone has washboard abs… some are just covered by a few loads of laundry. When Artemis introduced the Frequent Sweater challenge—12 workouts per month—I knew I had to do it. Some months it meant I had to arrange my schedule around vacations, or ramp up at the end of the month for a busy work schedule or sick days earlier in the month. But suddenly I realized I had pulled off four or five months in a row. Then it was six months, then it was eight. And now, with the end of September, it's 12 months in a row with 12 or more workouts per month. It’s officially Spring and it’s a time of change, self-examination, and renewal. We’re all yearning to ditch the long jackets and bulky sweaters in exchange for lighter, fewer clothes. Many of us are thinking about how we’ll look when we change our look and may be dismayed at the extra weight we’ve put on over the winter. Treat your exercise time as you would a doctor’s appointment, your child’s school conference, or anything else that gets coveted space on your busy calendar. You’re sure to have many things vying for your attention: your work, your home, your family and pets. By making exercise a priority for a healthier you, you’ll get the boost of energy you need to power through your to-do list. The best way to get into the habit of exercise is to make it a part of your regular routine. If you want results, consistency is key! Our most impressive success stories have come from members who exercise regularly. Small changes over time add up to a lot and are the best way to lose weight and keep it off. Your consistency will be largely improved if you have a friend or family member to exercise with. You will not “bulk up” by strength training. Excessive body fat makes the body bulky, not muscle. Visualize this: which weighs more, five pounds of feathers or five pounds of lead? Neither -- they both weigh five pounds -- but you're going to be looking at a whole lot of feathers. The same holds true for fat and muscle. Strength training increases your metabolism and burns more body fat than aerobic exercise alone. It can be tempting to jump right in to a class and give it 110%, but like everything else at Artemis, we encourage you to make small, gradual changes. Go at your own pace and pay attention to your body’s cues. It’ll help prevent injuries and make you look forward to coming back another time. 5. REMEMBER THE SCALE DOESN’T TELL THE WHOLE PICTURE. The scale measures weight -- not overall fitness-- and it doesn't differentiate between fat and muscle. Muscle is denser than fat and tends to weigh more. There isn’t a magic bullet. It does take time to achieve fitness goals in a healthy way. You've been exercising regularly – hard even! You’ve been eating well and you’re anxious to see what all your effort has to show. So you step on the scale and gasp in shock. After all that hard work, you’ve gained two pounds. What is THAT about? As a women’s gym, we know this story well. THE SCALE DOESN’T TELL THE WHOLE PICTURE. The scale measures weight -- not overall fitness-- and it doesn't differentiate between fat and muscle. Muscle is denser than fat and tends to weigh more. Try to visualize this: Which weighs more, five pounds of feathers or five pounds of lead? Neither -- they both weigh five pounds -- but you're going to be looking at a whole lot of feathers. The same holds true for fat and muscle. Sometimes, the scale can feel like a foe, because it often reflects small gains (in muscle mass) before showing substantial losses (in fat). Exercise helps you to burn off plump, fluffy fat cells, while building dense, compact muscle tissue, and you may seem to gain before you lose. So, instead of daily trips to the scale, use other means for judging the progress you are making. Your clothes don't lie! The "clothes test" is a great way for monitoring your weight. Use a consistent pair of jeans to judge your progress. The satisfaction of seeing your clothes become less snug, or shopping for smaller sizes, is far more rewarding than any number on a scale. How do you feel? Chances are, if you've taken off weight and added muscle, you'll have more energy for your daily activities. And you'll definitely notice changes at the gym, where you'll have more stamina and strength. You might now be using heavier weights or doing more reps or be less winded during strenuous exercise. Take that as proof positive that you're making progress! This is probably the best measure of your progress. When tasks like taking care of the kids or tending to the house no longer leave you winded, or you find you can function without always being tired, you know you're making strides to a healthier you. You don't need a scale to help you measure that! If you want to lose weight, the best piece of advice we can give you is to start (or keep) exercising consistently. You WILL see results – in how your clothes fit, in how you feel, in your energy level. It does take time, but your efforts will pay off. I didn't think I needed personal training. I attend group classes regularly, the workout pushes me, and it's a real challenge to fit anything else into my schedule. But I had heard other women talking about it and decided to try it for a month. That was a year ago and now I'm hooked! Personal training is everything I love about Artemis, MAGNIFIED! The things I've learned in PT have helped me see improvement in the group classes: I can do more pushups, I can lift heavier weights, I'm not as tired all the time. It's shaping me into a better athlete. But the thing I love the most is the encouragement and camaraderie. I love how Kendra, Rachel, Kathryn, Becky and the other drop-in's in our group always encourage me to hang on, do one more pushup, go a little faster... or make me laugh about it. I look forward to that time every week and I'm thankful for my personal training group at Artemis. One year ago I had a knee problem. Going up and down stairs was painful and slow, one step at a time, gripping the hand rail. After consulting a physical therapist, I returned to ARTEMIS for weekly training sessions with Cate and Kendra, as well as frequent workouts at “Fundamentals.” Ta-DAH! Knee has recovered! I just returned from a wonderful 6-day excursion trip to Newfoundland which involved extensive hiking, as well as stepping from the ship into a bobbing Zodiac. I would never have gone on such a trip if my knee was not cooperating. Thank you, ARTEMIS ! Why Artemis? I am all for women strength training and Artemis provides an environment where women can come lift some heavy things without intimidation. Also, the battling ropes! My favorite exercise is... Anything back-related: rows, inverted rows, chin ups, deadlifts, etc. A strong back is so important for posture, injury prevention and looking good in a sleeveless dress! My least favorite exercise ...It is shameful as a trainer to say this, but I always dread push-ups (remember, I'm a back girl). I've really been working on my push-up form and it has been tough but my shoulders thank me. What makes me smile? Watching my dogs stick their heads out the window of the moving car. Pure joy! When I'm not at Artemis: I'm a bit of a fitness junky so I'm always reading about fitness and nutrition. I may be spotted doing barbell squats in the basement or weeding our vegetable garden. In the winter, I'll be on the hill skiing or riding...my nickname is Snow Bunny after all! Free Week Pass to all the group classes at Artemis Fitness! Join our popular outdoor total body strength training program designed to strengthen and tone your body in all the right places. This fun and challenging program makes use of the outdoor field and playground to provide a great mix of cardio bursts with core and body weight exercises to get your metabolism roaring. Join with other women to get in shape for the summer and finish your workout before the heat of the summer kicks in. Program is appropriate for all fitness levels and abilities. Jen Weiss will be instructing the group. Jen is an ASFA Certified Personal Trainer and a PSIA Level III Ski Instructor. Jen has been a trainer here at Artemis for the past 3 years and also teaches our popular outdoor Body Blast Program. You may also register offline by calling Artemis at 448-3769! Before I joined Artemis, my body felt like an obstacle. After years of avoiding any kind of exercise I was pretty out of shape and even more self­-conscious about it. I started noticing I was unable to do things that I wanted to and felt I should be able to and eventually admitted to myself that I couldn’t just avoid exercise forever. What I found there was a variety of exercises and modifications for any level, trainers who were attentive and invested in ensuring the class was successful for everyone, and an incredibly encouraging and inspiring group of women. Join instructor Adeline Cleveland for a progressive 6-week yoga series. Whether you are trying yoga for the first time or have years of experience, there is space in Adeline's Kripalu yoga class for you. With an emphasis on whole-body awareness and self-care, you'll feel strong, calm, and rejuvenated after an hour of mindful movement, breathing, and meditation. Each class will offer opportunities to strengthen your muscles, work on balance and flexibility, and fell at home in your own body. Space is limited, please register at the front desk. Put some SPRING into your step! Post a photo of you and your favorite Spring activity: gardening, cooking, traveling, by Friday 5/6 for a chance to win a free personal training session. 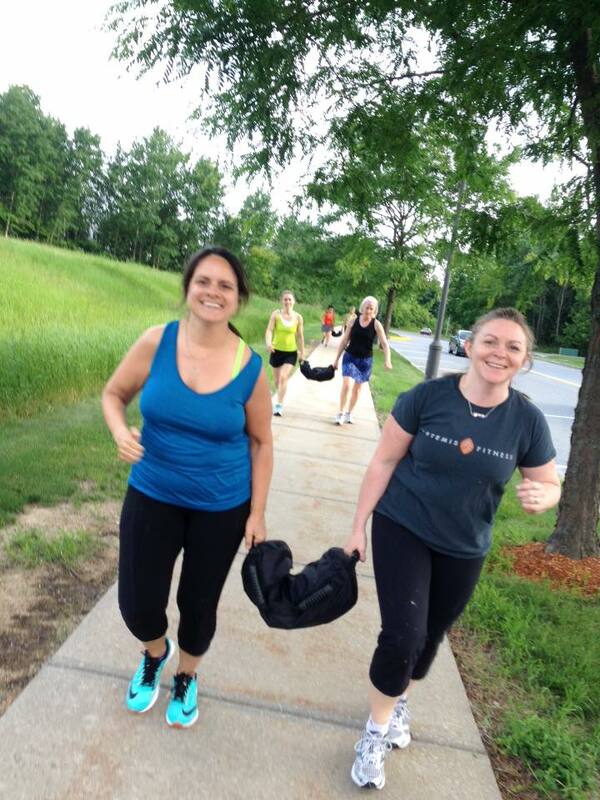 Please post your photo on the Artemis Fitness Facebook Page or email it to info@artemisfitnessvt.com. Thank you and good luck! 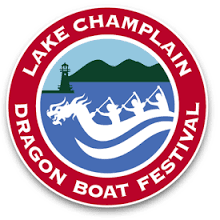 Stop in and sign up at the front desk, call us at (802)448-3769 or complete the registration form here. I am so lucky that I found Artemis. I had lost 80 pounds and was looking for a program that I would enjoy and could stick with. I needed to loose 40 more pounds and was getting bored with the elliptical. I needed a challenging routine to keep me interested. I wanted something that I knew I would commit to. I am somewhat limited in my choices of exercise in that I have knee issues. I was also still recovering from a broken foot. I found Artemis and haven’t regretted one single minute. I am stronger than I have ever been. I have endurance and balance. Above everything, I feel extremely grateful to be healthy enough to exercise and to have found such a supportive community. Literally put an exercise class on your calendar. You’re sure to have many things vying for your attention: your work, your home, your family and pets. Exercise can help give you the boost of energy you need to power through your to-do list. The best way to get into the habit of exercise is to make it a part of your regular routine. Strength training increases your metabolism and burns more body fat than aerobic exercise alone. You will not “bulk up” by strength training. Excessive body fat makes the body bulky, not muscle. Visualize this: which weighs more, five pounds of feathers or five pounds of lead? Neither -- they both weigh five pounds -- but you're going to be looking at a whole lot of feathers. The same holds true for fat and muscle. Set smart, attainable goals that give you something to strive for during your workouts. Goals can be anything from doing one pullup, to doing 10 pushups from your toes, to being able to run after your children or grandchildren, or to sleeping better at night. Once you have met your goal, be sure you take to celebrate your success. Then make a new one! It can be tempting to jump right in to an exercise class and give it 110%, then feel totally worn out the rest of the week. We encourage you to make small, gradual changes. Remember, it took months to put on a few extra pounds. It will take time for it to melt away too. Go at your own pace and pay attention to your body’s cues. It’ll help prevent injuries and even make you look forward to coming back another time. The bottom line is if you start exercising consistently, you will see results – in how your clothes fit, in how you feel, in your energy level. It does take time, but we’re in it for the end-game. You've been sticking to your new eating plan and exercising regularly, and you've improved your overall attitude about staying healthy and getting fit. Good for you! You're feeling great and proud of all the hard work and progress you are making. Then, you step onto the scale and find your motivation deflating. You can't believe it; after all your hard work you've gained two pounds! What's that all about? Now before you go reaching for the Ben and Jerry’s or skip your next group, consider this: Stepping on the scale may not be the best way for you to assess your progress. The scale measures weight -- not overall fitness-- and it doesn't differentiate between fat and muscle. Muscle is denser than fat and tends to weigh more. Try to visualize this: Which weighs more, five pounds of feathers or five pounds of lead? Neither -- they both weigh five pounds -- but you're going to be looking at a whole lot of feathers. The same holds true for fat and muscle.